Choking the Bat, should be explored when teaching situation hitting, increasing the hitter’s ability to put the bat on the ball and hit it into fair territory. A home run is always nice, but there are situations you could care less about a home run, as all you need is for your hitter to make contact and put the ball in play. However, the Last thing you want is a strike out. Situational hitting, although incorporating all the basic elements of hitting, places a specific emphasis on bat control for maximum ability to make contact, and one such method for achieving bat control is by choking up on the bat. Simply explained, Choking up the bat handle in essence makes the bat shorter, which increases the hitter’s bat speed and ability to get the bat through the hitting zone and make contact. (1.) 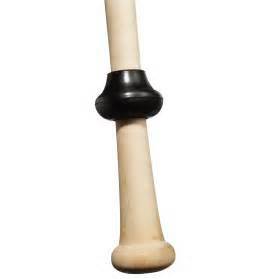 No Choke …The hands are at the bottom of bat resting against the knob. 2.) Half Choke … The hands are moved @ 1 ½ - 2” up the bat handle. (3.) Full Choke … The hands are moved @ 2” - 3” up the bat handle. A word of caution: Be careful your batter is not over choking, that is the hands too far up the bat handle, because it will handcuff the hitter making his swing awkward and robot like, essentially taking all bat control away from the hitter. (c.) He may make contact on the first pitch without adjusting his hands. Occasionally, you’ll encounter a player that for the life of him can not choke the bat and hit. For this player there are items which can be placed on a bat that forces a hitter to choke up, which can be used in practice to acclimate the hitter to the feel of choking up on a bat, but be sure to check with your league’s rules before trying to use them during a game. Some coaches consider learning how to choke up on a bat for situation hitting old fashion and outdated. They maintain hitters now days are far too sophisticated and controlling bat speed is the preferred method of making contact. Personally I think they’re perhaps getting a little too big for their britches. 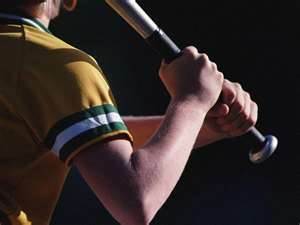 Choking for bat control for situation hitting is another weapon a hitter can put in his arsenal, although deciding whether to choke up on your bat or not depends on the hitter, pitch count and strategy, of which Hitting Strategy will dictate an immediate decision.